Omni Filters GAC1-CB1-CB3 Replacement Cartridges - Drinking Water Filters & Purifiers by Omni! 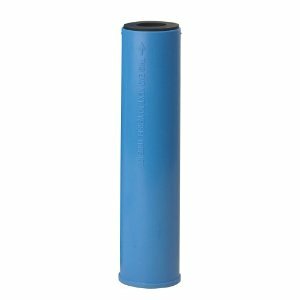 The replacement cartridge kit for the Omni U700 water filters. Includes the GAC1, CB1A and the CB3A replacement cartridges. This Kit comes with 1 GAC1, 1 CB1A, and 3 CB3A cartridges, enough for an entire year! Change GAC1 and CB1A every 12 months and CB3A every 4 months. Change O-Ring every 3rd filter change. If you have an older Omni filter model that has been discontinued and need an O-Ring please call our customer service number: (855) 855-1976 for assistance. The Omnifilter CB1 is a carbon block cartridge used in OMNI Undersink filters CBF1, OB3 and SFM2. The Omni Water Filter CB1's carbon block removes chlorine, odors, and harmful bacteria like Giardia and Cryptosporidium to give you great tasting, safe water right from the tap or a dedicated faucet, depending on the unit selected. The CB1 is a carbon block cartridge used in OMNI Undersink filters CBF1 and OB3. The CB1's carbon block removes chlorine, odors, and harmful bacteria like Giardia and Cryptosporidium to give you great tasting, safe water right from the tap or a dedicated faucet, depending on the unit selected. Change filter every 6 months.